Support is a communication channel between you and senangPay support team. Under the Support menu, there are 2 submenu. 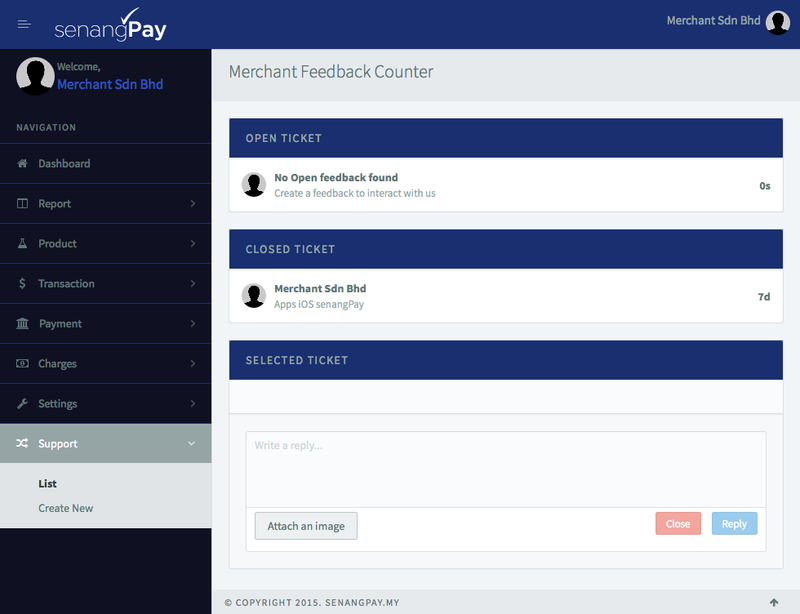 This will displayed all the conversation messages between you and senangPay support team. It will contain the current open / closed conversation and a list of archive conversation. 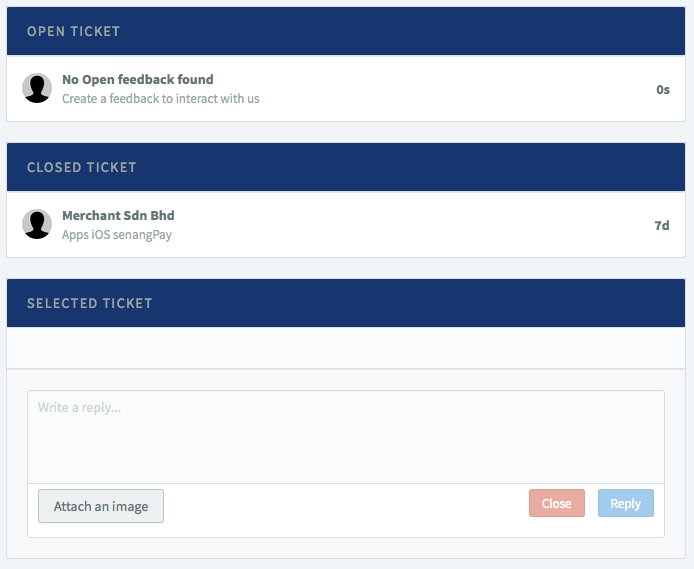 This is to add new feedback in the apps. Fill in the related fill and click “Create New” button.